Check out an earlier table59 bblog on how to register for Google Places. Given that most customers will not already know you, Google Search becomes really important. It is therefore necessary to have a presence on the Internet which should contain a blog, some information about your background, testimonials and qualifications and of course a really easy way for visitors to contact you! Facebook is a referral mechanism and should be linked with your blog, whuch means that a new Facebook post is created every time you publish a new Blog entry. This makes it easier to manage. 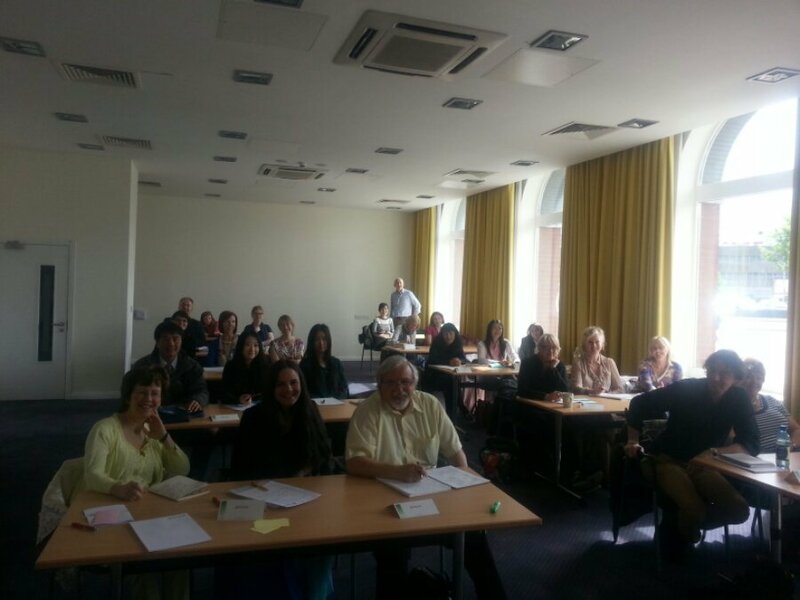 This was a fantastic bunch of attendees – thanks to everyone who attended!! Using Twitter is a great way of promoting your business. Depending on your business model, you might use Twitter to conduct customer service, see what your competitors are up to, or promote your brand. But more and more of our clients are asking us: “How do I actually make money from Twitter?”. Before you can think about making money on Twitter, make sure you have a strategy or plan for using Twitter. – Use a desktop application such as TweetDeck to manage your accounts. – Setup different Twitter accounts for your personal and business sites. – Establish yourself an THE definitive authority in your particular area. – Follow lists that relate to your area and then create lists. – Retweet others, especially influencers, to get on their radars. – Work on Twitter (not play!) for at least 30 minutes every day. Once you’ve got this discipline in place, start looking at how the most successful businesses use Twitter. For example, some share quality information, others generate buzz, others inspire, and some are deliberately controversial. They use different styles to attract readers, engage, and increase their sphere of influence. So, before you start selling on Twitter, monitor how others do it, adapt their tactics, and then see what works for you. The key fact here is: if your audience trusts you as a person, they’ll be more likely to buy from you in the end! Now that you have the tools, made observations, and seen mistakes others make, how can you start to make money on Twitter? Start by developing a Twitter following around the benefits your product offers – not the actual product itself. An example? Instead of selling websites, share tweets about the benefits of having a website, how to use websites more effectively, tips and tricks for website marketing, and other useful information that encourages others to share your tweets. Then, once you have a critical mass of interested followers, drop in a subtle tweet selling your product and ask your followers to retweet it. You can use the search function on Twitter.com (or, even better, use a social media management platform like TweetDeck) to find leads and generate sales on Twitter. Enter, for example, ‘web design?’ (note the question mark). This returns tweets with questions about web design. Answer the question and direct people back to your site. In other words, use the search to find problems others are having and then position yourself as an expert in this area. This is a very simple and effective way to interact with potential clients. This will take some trial and error, but once you’ve got up to ten good keywords, you have a great source of potential leads. Tip: in order to reach out to potential leads, you will have to send unsolicited messages via Twitter. You should send an @mention to possible leads using a very soft sell, and letting them know that you found them via Twitter. Social media isn’t like any other type of communication. It offers businesses new ways to connect to potential customers in two-way conversations. You can make money on Twitter by getting your followers involved in your business. Run a campaign asking for creative input from your customers, like getting them to design a logo or write a product description/ review for you. This may not initially lead directly to sales, but it will increase your visibility on Twitter as well as the brand loyalty of your followers. Once you have a critical mass of followers in a specific area, for example, developing web sites for the Financial Sector, contact companies in this sector and offer sponsored tweets. – Avoid hard-sells: Twitter users are looking for real connections and valuable information, not hard sales pitches. – Don’t use Twitter solely for making money: build a community, a brand presence, and engage with your followers. – It’s not all about the followers: quality matters much more than quantity, so if you have a low follower count, you can still make money by achieving a high conversion rate or by generating leads using search. Twitter is a numbers game depending on your following (and quality of followers), but it works once you get followers who share, retweet, and spread the word about your business. And the key word here is Share. Having followers is fine, but actually connecting with those who spread the message – that’s how you’ll make money on Twitter!